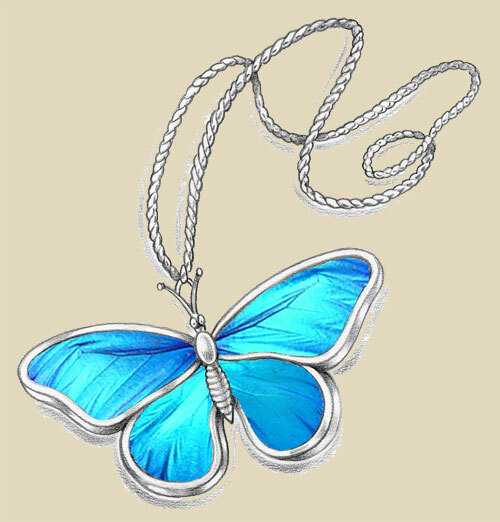 Does her mother's butterfly pendant really have magic powers? After yet another miserable day Kaela Neuleaf decides she can't wait one more minute to find out the truth. While her cousin Shawn watches, she sneaks the necklace out of a locked cabinet in her father's office. A surprising visitor soon appears and whisks Shawn and Kaela through the hole in the sky to Muratenland, a land inhabited by magical and wonderful beings. But a curse binds the people to a vengeful warlord who has kidnapped the king's baby and is bent on conquering the land. Kaela and Shawn are brought before the King and Queen and learn of an ancient prophecy about a red-haired girl from far away who can break the curse. The people of Muratenland are certain that Kaela is the red-haired girl.